Creating social media accounts is only the beginning of using social media in marketing. The next part is posting content and interacting with the followers. Although posting content from other blogs and websites can help you, this is not always recommended practice, especially if you want to convert the visitors into buyers. In order to do so, you have to get people to visit your own website or online store, where you will have the chance to convert the visitors, or get them to subscribe to your newsletter. Content marketing refers to creating content in promotional purposes, and it can refer to various forms of content, such as blog articles, e-books, images, etc. This kind of content can be shared on social media accounts in the purpose of engaging users and increasing traffic on your blog or website. When it comes to characteristics and types of the content that you can share on social media, we will present the most useful suggestion that will help with content sharing. There is so much spammy content on the internet, as well as on social networks. A lot of people try to get traffic and conversions, but they are not willing to invest time to achieve this goal. This is the reason why there is so much low quality content. Sometimes, this content is only created in order to attract search engines with the extensive usage of keywords and keyword phrases, but the content itself provides no value to the readers. When it comes to sharing on social media, this kind of content will not provide any results. Content published on your social media accounts has to be of high quality in order to encourage people to click on the link and to share it with their friends on social media. Creating high quality content requires a lot of time and dedication from your part, but this is necessary if you want to create content that can become viral. It is better to invest a lot of time and create content occasionally, such as once a week, than creating low quality content every day. High quality content has more of a chance to get the results and help you benefit from being active on social networks. High quality content requires you addressing current and popular topics, with an original approach, an in-depth analysis and plenty of facts to support your statements. Obviously, you will need to invest time into research and creating of such content, regardless of the format of the content. Photos are said to be the most engaging type of content on social media. They are visually appealing and successful in attracting attention. The development of technology enables anyone to easily create high resolution photos. Simple photo editing software facilitates editing of the photos, adding text to the photo, etc. All of this has affected the importance of images in social media marketing. Besides customizing accounts with profile and cover or header images, status updates can be accompanied by photos of your products, of customers using your product, etc. If you own a cafe, you could encourage customers to share the photos of them being in your cafe. On the other hand, if you sell bikes, users can share images of them while cycling outdoors. This strategy can be applied to all sorts of industries. You can also share similar images of yourself. For example, if you own a shop that sells accessorize, photos you share on your page can contain suggestions on how to wear a particular item, how to combine it with different clothes, etc. Photos are especially helpful if you want to use social networks such as Instagram or Pinterest. Since these networks are specialized in sharing images, you will need this type of content if you want to participate and engage users. It is also recommended that you include photos in your blog posts and on your website. Besides regular images, we also have graphics or infographics. These images typically have a certain background, which can be an image, a simple plain page or a page with some sort of a pattern. The text and the graphics are added to this image, using software for photo editing. These can help you share quotes, definitions, statistics, charts, etc. This way, relevant information and data can be presented using visual elements that easily attract attention of the users on social networks. Furthermore, graphics and infographics are nice bonus to the content you share on your website. They are easily shared on other blogs and social networks, as well. If the graphics provide real value, so that people find them helpful and interesting, it is very likely that other blogs or websites writing about the related topic would feature the infographic themselves. Video is a type of content that can help you generate a lot of traffic, as well as engagement. There are different kinds of videos that can be shared. The most obvious one, that has been part of traditional marketing for quite some time, is the promotional video. Even though they can be helpful and a good representation of your business, these videos are not likely to go viral. Here are some other types of videos that might help you when trying to establish your presence on social media. 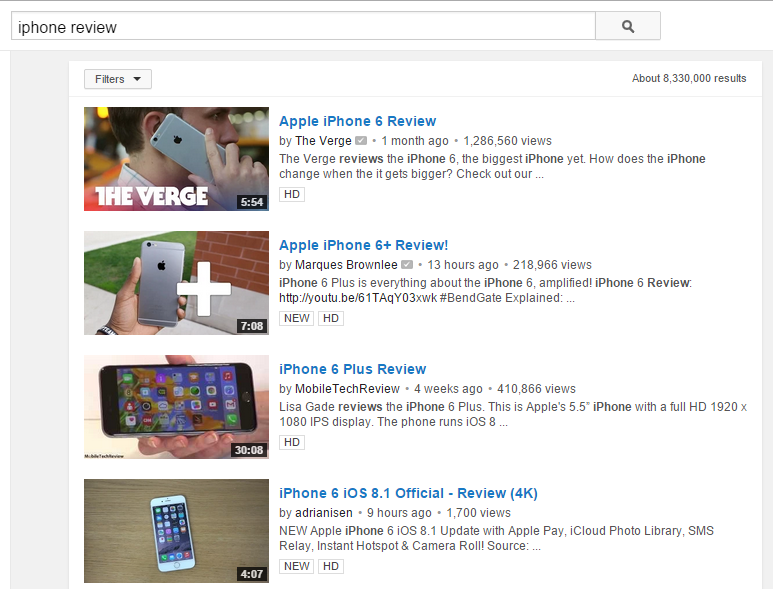 Review videos are useful for showing features and functions of a product. You as a manufacturer can create review videos when you introduce a new or upgraded product, in order to present new features. Popular review videos are often created by individuals who decide to create this kind of video in order to show the usage and benefits or negative sides of a product. While individuals can create these videos on their own, you can also contact someone to create the review video for you. 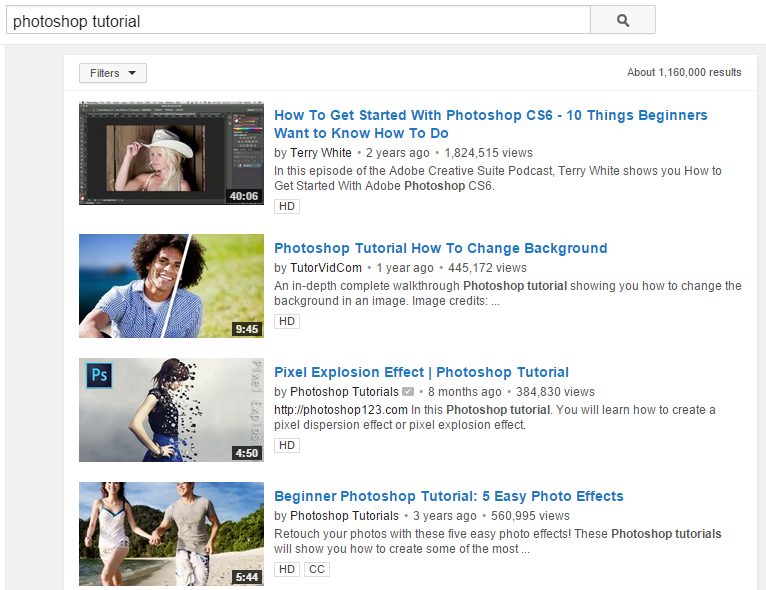 These videos are sort of instructional videos created in educational purposes. They can be used in various different industries, in the purpose of educating audience about using something such as software. People find these kinds of videos very useful and helpful, which is why they are very popular and often shared, which ensures the large number of views. Entertaining videos are very popular, especially among young people. The engaging factor in videos like these is that the main purpose is to entertain. It can be a funny commercial, a hidden camera video, or any kind of creative entertainment that you can think of. As a result, these videos are very often shared and frequently recommended among social network users, especially on video based networks such as YouTube. Have in mind that these videos are not suitable for all businesses. Besides creating these videos on your own, which might be time-consuming, you can also collaborate with individuals popular on YouTube who might be interested in featuring your product in one of their videos. These types of videos are popular, as they allow people from different parts of the world, to meet online and exchange experience and ideas on a certain topic. Using any of the available platforms, such as Skype or Google Hangouts, chat sessions can be live streamed or recorded so people can watch them. Introduction of Snapchat, Facebook and Twitter live stream, and similar features, made these types of videos even more popular and they became widely accepted on social networking sites. The nature of these videos affects the fact that they cannot be used in all of the industries, but if you manage to find benefits of using this kind of video material, it could be great a promotion for your company. Sharing links on social media is a good way to generate traffic. If you have a blog where you update content regularly, or a website with lots of content, you can share pages on social media in order to invite social followers to visit those pages. When it comes to link sharing, those can be really helpful as they can provide statistics in terms of number clicks, user location, etc. You can use one of those URL shortening services, such as bitly.com. Not only does this kind of service shortens the link, which is especially useful when sharing on Twitter, due to a limited number of characters per tweet, but you will also get insights related to the link in question, so you can see how many people have clicked on the link, and which social network have generated the most clicks. As a result, you will get information about the popularity of each link, about social network that is most effective for your business, as well as information about the location of the user, which might influence your definition of target audience.